I think what's notable and important about Braid is how experimental it is–it's far from a gaming perfection, but I don't think anyone ever argued it as such. While I agree with everything you said about the “wall of text” distraction in your previous post, this seems a little exacerbated. Even Shakespeare had typos, but nobody's going to spend time or energy arguing that this ruins his literary merit or his status as one of the greatest author/poets in the English language. Regardless of Blow's trip-ups here and there, you can't really discredit his accomplishments at experimentation within the medium. Especially considering he was flying solo as he created the game. A box near a ledge with a picture of the Xbox 360’s ‘A’ button on it. The player can’t jump over this little ledge without pressing ‘A’, so it forces them to learn that ‘A’, in fact, makes the character jump. Braid is one of the most overrated games of all time. 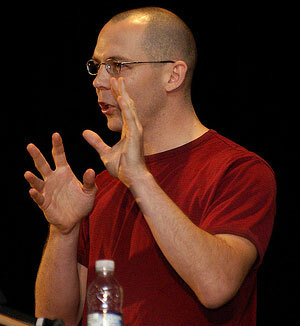 Creator Jonathan Blow is seen as Art Game Jesus, and lives up to that title by traveling the world giving speeches about advancing video games as a medium. The world has been conveying motion in art for hundreds of years in a variety of ways. Though early works were unable to create the illusion of movement before the late 19th – 20th centuries, they were still able to show motion through important actions and movements. Here, I have a Qing Dynasty (1644-1912) painting made in Imperial China. This painting is a good example of an early attempt to convey motion. The painting is able to convey motion through the many actions of its subjects, their direction of movement, and how they connect to tell a story. I completely agree with this. It’s hard to imagine any cartoon that doesn’t use the squash and stretch. The lack of exaggeration would lose the cartoon’s ability to move the way they’ve always been shown and therefore lose some entertainment factor. It’s great that you’ve slowed down these clips to make the squash and stretch more obvious because in movies like the Lion King, it was so subtle. Killer7 is why I play video games. Posted in Group 1	| Tagged Grasshopper Manufacture, Killer7, Suda 51	| Comments Off on Killer7 is why I play video games. I agree the squash and stretch principle is vital to all cartoons because it allows the characters to portray extreme emotion whether it is being excited or angry. All cartoonists have used it at somepoint. If someone said squash and stretch to me in referance to a cartoon I would think exaggeration, because that is purely what it is. It is an exaggeration of the characters feelings, it is the artist making sure that we understand exactly what the character is feeling.